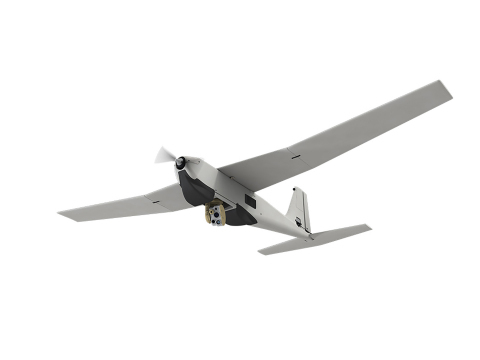 RQ-11B Raven®, RQ-12 Wasp® and RQ-20A Puma™ comprise AeroVironment’s Family of Small Unmanned Aircraft Systems. Operating with a common ground control system (GCS), this Family of Systems provides increased capability to the warfighter that can give ground commanders the option of selecting the appropriate aircraft based on the type of mission to be performed. This increased capability has the potential to provide significant force protection and force multiplication benefits to small tactical units and security personnel. AeroVironment offers a smaller vertical take-off and landing (VTOL) system, the Snipe VTOL™ for support of individual squads and platoon surveillance. AeroVironment provides logistics services worldwide to ensure a consistently high level of operational readiness and provides mission services for customers requiring only the information its small UAS produce. AeroVironment has delivered thousands of new and replacement small unmanned air vehicles to customers within the United States and to more than 40 allied governments. AeroVironment (NASDAQ: AVAV) provides customers with more actionable intelligence so they can proceed with certainty. Based in California, AeroVironment is a global leader in unmanned aircraft systems and tactical missile systems, and serves militaries, government agencies, businesses and consumers. For more information visit www.avinc.com.